The Office of the Public Defender collected more than $500 in groceries for CASA, a nonprofit organization serving foster youth and juvenile offenders throughout San Bernardino County. 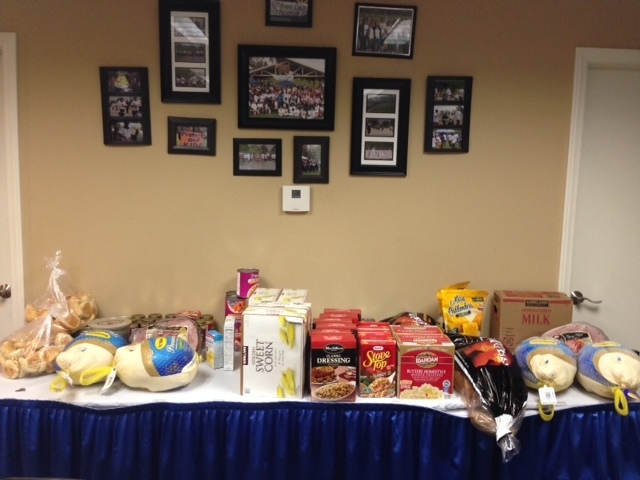 Four 15-pound turkeys, two hams, Thanksgiving-themed plates, utensils and other fixings were collected for CASA’s Thanksgiving event which is expected to serve 35-45 foster youth and staff. The Public Defender’s office also collected $400 in cash and grocery store gift cards to supplement the event. In San Bernardino County, there are approximately 5,400 children and youth living in foster care.